I live in a bubble where there is only sunshine and puffy white clouds. Okay, maybe a little rain, but it only serves to water the towering trees and feed the babbling brooks. And the sunshine and rain grow berries and fish that feed the large black bears that supplement their diet by cruising the streets in search of open garages offering up tasty garbage snacks. The “wildlife” we have in our bubble includes raccoons, skunks and cougars. But only the feline ones. I live in a bubble where kids can walk to school. They don’t. But they can. I live in a bubble where I can go days without locking my front door. Who would know? If, by chance, a stranger were to spend any time casing our street the sweet little old lady in the pink house would be able to give the police a full description of not only them, but their car and their dog. I’m just assuming they would have a dog because we live next to a great park for dogs. I live in a bubble where the clerks at Safeway know my kids names and ages. And not in a creepy “I’m watching you” kind of way. They know them because I’ve been known to lose my kids in the grocery store once or twice and have had to enlist the clerks to help me find them. They have then listened to me tell my kids that they are old enough to know better than to wander away. But then again if they did wander away, say to the juice bar, they know them there too. I live in a bubble where the worst crime of the year was a group of “thugs” skateboarding past the No Boarding signs in the library square. Where a drive by refers, not to a shooting, but to a quick trip through the cove to see if the tide is in or out and if there’s actually a parking spot to unload the SUP from. Where the thought of a real crime happening is, well, unimaginable. 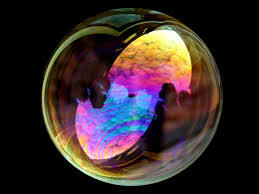 So when bad things happen say, south of our border, I can only stop and hope – that my bubble never bursts. I think that’s a hope we all share. Unfortunately, all those other towns were just like us. And now they’re not. It seems every good street has the little old lady in the pink house/brick house/white house/what have you. If only we could put her in charge, we might be able to make school shootings a thing of the past. I have a feeling she’d take care of business, alright.